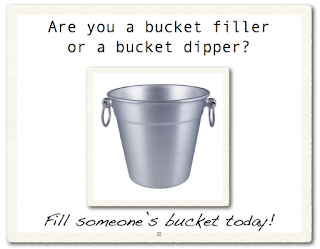 TALK CLEAN TO ME: How full is your bucket? I admit there are times I get a “bit” riled up but to be fair, sometimes I get riled up because some people find it amusing to “push my buttons”. I will also openly admit there some topics that I am passionate about, probably to the point of being a zealot. Tonight I was flipping through my latest copy of Infection Control Today when I came across an article written by the editor Kelly Pyrek “Room Turnover Times: Trash-and-Dash Approach Jeopardizes Patient Outcomes”. One a scale of 1 to 10 in terms of having strong feelings and opinions over cleaning of patient rooms, I am about an 11, and just reading the title started to make me quiver. EVS staff genuinely want to do a good job and like doctors, nurses and other clinical staff they want to be acknowledged for the work they do and their role in improving patient outcomes. How often have you heard someone (or you being that person saying) “Get this room done in 10 minutes!” I know how I feel when rushed and end up cutting corners or producing work that is not to the standard that I set for myself. I become frustrated. I become angry. I feel bad about myself. My invisible bucket tips over and big invisible drips spill out. As the article states if you were to tell a surgeon to remove a gall bladder in 10 minutes or a nurse to insert a central line in 5 minutes they would revolt. They would push back stating they cannot do it properly or safely in that length of time. They would cite the fact that they have standards and a code of conduct they must adhere to. It’s interesting that we do not allow EVS staff to do the same. It’s interesting that there is a plethora of published data supporting the importance of cleaning and disinfection and the importance that achieving compliance (e.g. contact times, wiping all high touch surfaces, etc) has on improving the status of environmental hygiene, reducing bioburden, reducing HAIs and improving patient outcomes. It’s interesting that we acknowledge the work of our doctors, nurses and other clinical staff. We’re quick to fill their buckets. Similarly, it’s also interesting that we do not applaud and celebrate the important work that our EVS staff does. We’re quick to empty their buckets by pushing them to do more with less and by pointing fingers and blaming them for environmental transmission of HAIs. We’re less apt to applaud them for their work and ensure their buckets are full. I’ll leave you to read the full ICT article. It’s well worth the read and I hope will change your attitude on the time it takes to clean the room, and if you have the authority I hope you’ll help your EVS team to strengthen the importance of their roles. I hope you’ll solidify the importance of following processes and not cutting corners. I hope you’ll help EVS justify their budgets and FTE levels the next time they are told to cut their budgets and fire some staff. 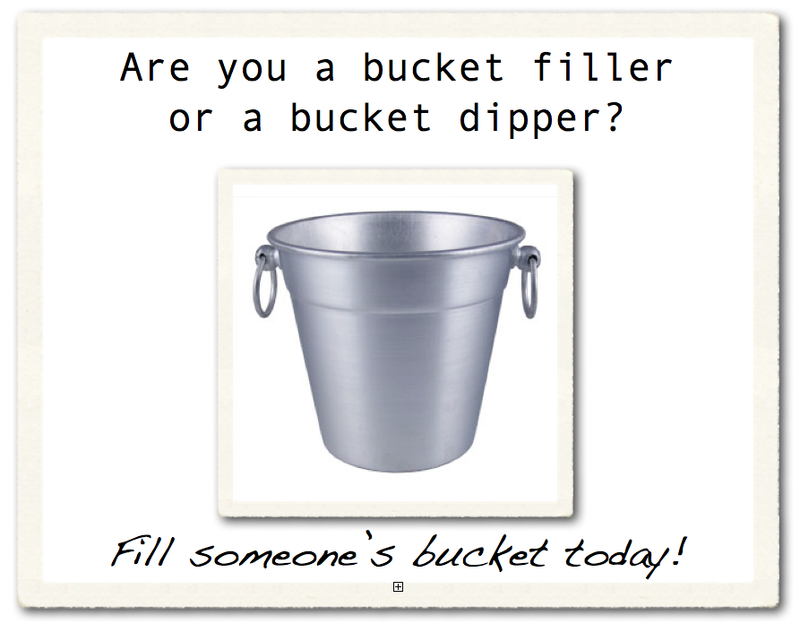 I hope you’ll start filling the buckets of your EVS staff!